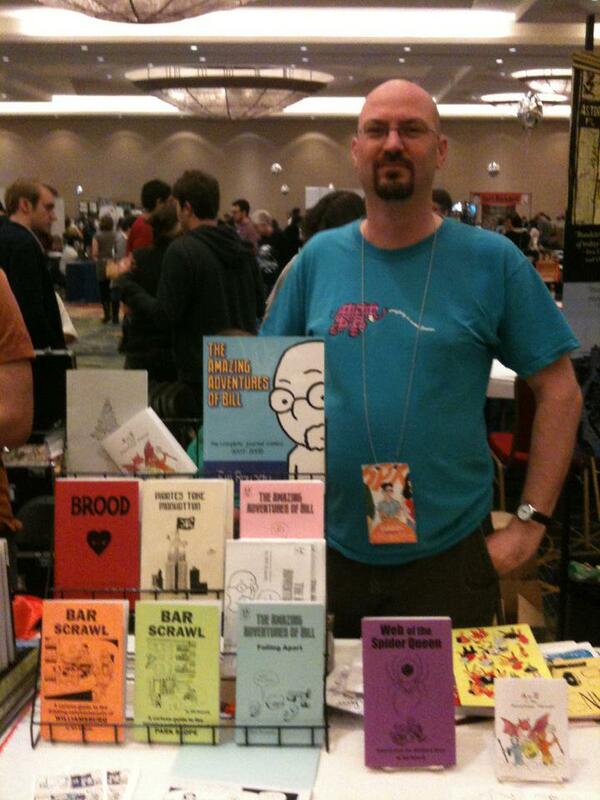 I was at the Small Press Expo this weekend! Many people are calling it the best SPX ever, and I’m not going to disagree. And I can prove it with graphs! A lot of this change is because I’m drawing better books, but the larger crowd this year was a pretty big help, too. SPX has never been a “selling” show for me, though. I go because it’s a great social experience – everyone stays in the same hotel, and hangs out at the same parties. I got to spend time with many of my favorite cartoonists, who I’m not going to list because it would take too long, and I know I’d accidentally leave someone out. But many of them are New Yorkers who I only get to see at conventions, and some I’ve been bumping into at cons since 2003. At the post-Ignatz party, it took me almost an hour to move across the room, but I couldn’t go more than 20 feet without running into someone I wanted to talk to! And while I was on the show floor, I had the same experience, but with books I wanted to read! Naturally, I picked up the new books from Spike (Poorcraft) and from Julia Wertz (The Infinite Wait, and other stories). Me: This is really cute! What’s it about? Me: Stop talking! You have already made the sale! I also picked up Shotgun Funeral from Laura Terry, who makes art that is crazy-gorgeous, and I’m deeply jealous of her coloring ability. One cute comic: Roquefort, about a ballroom-dancing fox. The characters have a really good sense of motion, and it includes a musical montage, which is always nice. Okay, I’m going to post this now and run out the door, and I’ll probably edit it with updates later.